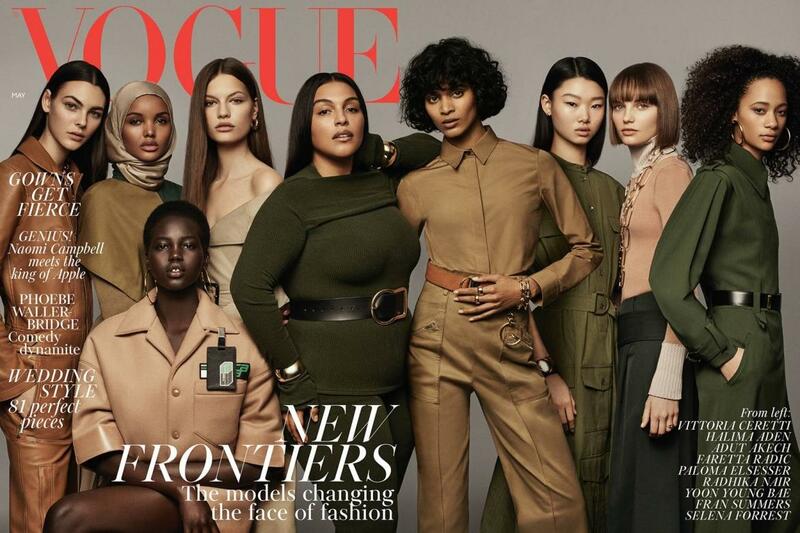 The latest issue of British Vogue is making history — it’s the first time the 102-year-old magazine has featured a hijab-wearing model on it’s cover. Enniful made good on his promise most visibly with this issue’s casting of Halima Aden, the Muslim model who practices modesty in public. She was born in a refugee camp in northeast Kenya to Somalian refugee parents and first made history for becoming the first woman to wear a hijab while competing in the Miss Minnesota USA pageant in 2016. She wore a burkini (a swimsuit with pants and a long-sleeve tunic and head covering) for the swimsuit portion. After photographs from the pageant swept the Internet, modeling agencies came calling and soon she was on a photoshoot with Mario Sorrenti and Carine Roitfeld. Aden always wears her hijab for her modeling work — though it can be a hinderance in booking jobs. But Aden isn’t the only trailblazer fronting the mag. Fellow cover star Radhika Nair was the first Indian model to ever walk in a Balenciaga show and curvy model Paloma Elsesser, blew up the Internet after starring in the Glossier Body Hero campaign. 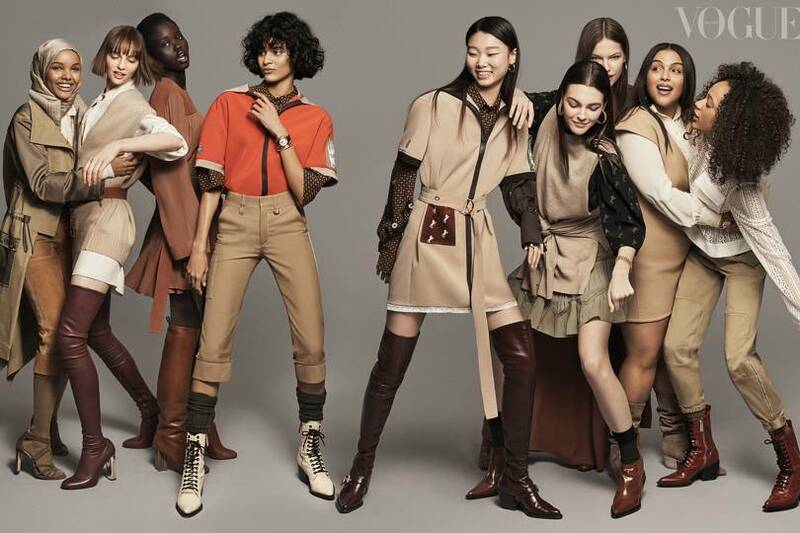 Other trailblazers gracing the cover include Adut Akech who, remarkably, was born in the same Kenyan refugee camp as Aden; Korean model Yoon Young Bae, buzzy Brit Fran Summers, 18-year-old American Selena Forrest, the solo-named Faretta, and Hadid-BFF Vittoria Ceretti. Inside the May issue of British Vogue.